MYE works directly with C-level executives, entrepreneurs, celebrities and marketing executives, as well as marketing assistants, administrative assistants and publicists. We are thrilled to work with people who take seriously their responsibility to make an event unforgettable. MYE specializes in corporate event planning that requires the experience of expert planners and an extraordinary attention to detail. Over the years, MYE’s client list has grown not only to include corporations, but A-list celebrities and other high profile individuals and organizations. 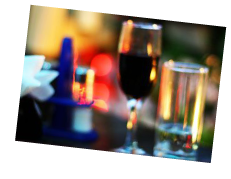 MYE understands that anonymity and confidentiality is a high priority for all their clientele. We have been privileged to host exceptional events for our clients throughout the world. And we would be honored to work with you.